Above: A late 1930s publicity portrait of Warren Hull. The typical hallmark of a serial hero was straightforward toughness, not slick intelligence; Warren Hull was one of the few exceptions to this rule. Hull came to serials with considerable stage and screen experience under his belt, and possessed a smooth, cultured voice and a suave but authoritative manner, as well as the proper physical appearance for a serial hero. His characters always seemed equally capable of beating up the villains or outsmarting them, depending on the situation at hand. Hull was born in Gasport, New York. He came from a well-to-do manufacturing family but developed an interest in show business at an early age, performing as an actor and singer in high school productions. He later attended music school in Rochester, then moved on to New York City, where he began working as a singer on Broadway in 1925. He pursued a successful career in New York for the next ten years, starring in several Broadway musicals and also working in radio as a singer and announcer. In 1935, he came to Hollywood and was signed as a contract player by Warner Brothers. Hull enjoyed steady work in Warners’ B-films for the next two years, delivering assured leading performances in action/adventure movies (Bengal Tiger, Fugitive in the Sky) and romantic comedies (Her Husband’s Secretary), or playing in support of established stars like Boris Karloff (The Walking Dead) and Hugh Herbert (Love Begins at Twenty). However, Warner Bros. did not renew his contract when it expired in 1937, and he became a freelance actor, starring or co-starring in B-films for other studios, including Monogram and Republic. In 1938, Columbia Pictures was preparing to launch The Spider’s Web, a serial based on Norvell Page’s popular pulp novels about a masked vigilante known as the Spider. For reasons unknown, John Trent, the actor slated to star in Web, dropped out, and Warren Hull was quickly signed by Columbia to fill the gap, a week before shooting began. Hull’s lack of time to study the part certainly didn’t hurt his performance; his characterization made the Spider one of the most memorable serial heroes. The Spider’s alter ego, Richard Wentworth, was a wealthy socialite and amateur detective, and Hull’s aristocratic, intelligent demeanor suited these aspects of the character perfectly. Hull was also impressive in the guise of the Spider, the identity Wentworth assumed to fight criminals the law cannot stop. Hull gave his character a dangerous edge, displaying a steely determination while repeatedly gunning down villains; he also pulled off the hero’s lighter moments of interaction with heroine Nita Van Sloan (Iris Meredith) and sidekicks Jackson and Ram Singh (Richard Fiske and Kenne Duncan). He even managed to successfully perform some broadly comic bits when Wentworth posed as the raspy-voiced underworld character Blinky McQuade. The cliffhanger’s plot pitted the Spider against the Octopus, a mystery criminal terrorizing an entire city’s transportation systems; the masked hero had to dodge villains and police alike in his battle to thwart the Octopus. With continuous and furious action, a fine supporting cast, and Hull’s commanding presence in the lead, The Spider’s Web was one of Columbia’s biggest serial hits, and still remains the most popular of all their cliffhangers. Above: Nita Van Sloan (Iris Meredith) and Richard Wentworth (Warren Hull) prepare to swing for their lives in The Spider’s Web (Columbia, 1938). Above: Warren Hull as the Spider makes a dramatic entrance in The Spider’s Web. Pleased with the success of The Spider’s Web, Columbia quickly cast Hull in a second serial, 1939’s Mandrake the Magician. This serial has not enjoyed as much lasting popularity among fans as Spider’s Web has, owing to its considerable divergence from the popular Lee Falk comic strip it was based on. Hull’s Mandrake lacked the original character’s impressive hypnotic powers and trademark moustache, while Al Kikume as Mandrake’s servant Lothar looked nothing like his comic-strip counterpart. However, its unfaithfulness to the comics aside, Mandrake was an excellent serial, action-packed and well-acted; the plot had Mandrake, a stage magician and detective, trying to protect a “radium energy machine” from a mystery criminal called the Wasp. Hull was well-cast in the lead, and was particularly convincing in scenes where Mandrake utilized magical sleights to foil dull-witted thugs. Above: Warren Hull begins a shipboard magic performance before the serial’s main action gets underway in Chapter One of Mandrake the Magician (Columbia, 1938). Above: A title card for Mandrake the Magician, showing Warren Hull in the center flanked by Doris Weston and the mysterious Wasp. Hull’s only non-Columbia serial was The Green Hornet Strikes Again (Universal, 1940). Gordon Jones had starred in the first Green Hornet serial the preceding year, but Hull’s popularity as the dual-identity hero of The Spider’s Web apparently made Universal anxious to enlist him for the similar Green Hornet role. Like the Spider, the Green Hornet was a lone-wolf crimefighter hunted by the police, and, again like the Spider, was secretly a well-respected member of society–Britt Reid, editor of the Daily Sentinel. In the serial, Hull as Reid tackled a city-wide crime syndicate in print (as Sentinel editor) and in person (as the Green Hornet) with the help of his Oriental valet Kato (Keye Luke). The Green Hornet Strikes Again was a good sequel to a good original, and Hull stepped into the Green Hornet part with ease, talking in two differing voices to distinguish between Reid and the Hornet. His slickness was well-suited to sequences that featured Reid quizzing evasive syndicate front men, and he became believably tough and menacing when intimidating gangster in his Green Hornet guise. Above: Warren Hull plans an investigation with star reporter Eddie Acuff (back to camera) in The Green Hornet Strikes Again(Universal, 1940). Above: Warren Hull, assisted by Keye Luke, prepares to become the Green Hornet in The Green Hornet Strikes Again. Hull’s final serial role was a reprise of his first and most popular heroic characterization, the Spider, but The Spider Returns (Columbia, 1941) came nowhere near its predecessor in quality. The great comedy director James W. Horne, who had co-directed Spider’s Web, assumed sole control of Spider Returns and indulged his penchant to play cliffhanger action for laughs. Horne seems to have picked up on the comic possibilities of the Spider’s Blinky McQuade guise from the first serial, and Hull wound up spending more screen time as the cartoonish Blinky than as either Wentworth or the Spider, bouncing witticisms off of thick-witted heavies who thought he was one of their number and swaggering around in broadly over-the-top fashion. The serial matched the Spider against the perpetually ranting Gargoyle, a masked criminal like the Octopus who unfortunately lacked the earlier villain’s menace. 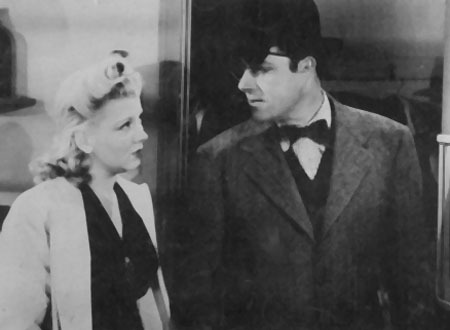 Hull, along with Kenne Duncan (the only other returning cast member from the first serial) managed to retain a little dignity when not in his Blinky guise, despite the shenanigans of the Gargoyle, his bumbling henchmen, and overbearing new heroine Mary Ainslee, but the serial came off as a parody of The Spider’s Web rather than a sequel to it. Above: Mary Ainslee and Warren Hull (in his Blinky McQuade guise) in The Spider Returns (Columbia, 1941). Above: Warren Hull, Kenne Duncan, and Dave O’Brien (standing left to right) watch as Mary Ainslee tries to tun in a radio broadcast in The Spider Returns. Hull, as the Spider, is shown on the border of this lobby card. Hull exited movies for good in 1941, not long after The Spider Returns was released. He worked extensively in radio, hosting the quiz show Vox Pop for a while, until the new medium of television arrived on the scene in the late 1940s. Hull became one of the most familiar faces of early TV, and turned his smooth, confident presence to good advantage as host of a number of shows, including Crawford Mystery Theatre, Cavalcade of Bands, and, most famously, the giveaway program Strike it Rich, which he hosted for four seasons. Hull’s final TV stint was as host of the celebrity interview show Who in the World in 1962. He retired to a Connecticut farm, where he passed away in 1974. Warren Hull’s intelligent, commanding acting presence made him the ideal actor to bring full-blooded life to the distinctive serial heroes he played–the Spider, Mandrake, and the Green Hornet. These out-of-the-ordinary roles required an out-of-the-ordinary serial star, and Hull, with his combination of suavity and toughness, filled the bill admirably. Above: Warren Hull with his team of helpers–Richard Fiske, Iris Meredith, and the turbaned Kenne Duncan– in a publicity still from The Spider’s Web (Columbia, 1938). Acknowledgements: Much of the biographical information in this piece comes from Gary Brumburgh’s Internet Movie Database biography of Warren Hull, while the info about Hull’s last-minute casting in The Spider’s Web comes courtesy of serial expert Ed Hulse, via Spider buff Chris Kalb’s website; Kalb’s web pages on the Spider serials are located HERE.